Bonta, M., O. Flores Pinot, D. Graham, J. Haynes & G. Sandoval. 2006. Ethnobotany and conservation of tiusinte (Dioon mejiae Standl. & L.O. Williams, Zamiaceae) in northeastern Honduras. Journal of Ethnobiology 26:228-257. Haynes, J.L. 2007. Overview of the cycad flora of Honduras. Proceedings of the 7th International Conference on Cycad Biology, Xalapa, Mexico, January 2005. Memoirs of the New York Botanical Garden 97:444-453. Haynes, J.L. & M.A. Bonta. 2007. An emended description of Dioon mejiae Standl. & L.O. Williams (Zamiaceae). Proceedings of the 7th International Conference on Cycad Biology, Xalapa, Mexico, January 2005. Memoirs of the New York Botanical Garden 97:418-443. Haynes, J.L. & T.E. Marler. In press. Conservation through propagation: A novel approach to conserving cycads, with recommendations for two endemic species in India. Current Science. Gregory, T., J. Haynes & J. Chemnick. 2008. Key to the species of Dioon. Cycad Newsletter 31(4):16-17. Haynes, J. 2001. Cycads in the South Florida Landscape. University of Florida/Miami-Dade County Extension. Haynes, J. 2002. Year of the golden cycads. Cycad Newsletter 25(4):10-12. Haynes, J. 2003a. Cultivation and phenology of Cycas panzhihuaensis in South Florida. Cycad Newsletter 26(4):12. Haynes, J. 2003b. Phenology of Ceratozamia hildae in South Florida. Cycad Newsletter 26(2):11. Haynes, J. 2004a. Phenology of Bowenia in South Florida. Cycad Newsletter 27(4):12. Haynes, J. 2004b. Phenology of Encephalartos ferox in South Florida. Cycad Newsletter 27(3):10. Haynes, J. 2004c. Phenology of Lepidozamia peroffskyana in South Florida. Cycad Newsletter 27(1):12. Haynes, J. 2004d. Phenology of Zamia splendens in South Florida. Cycad Newsletter 27(2):11. Haynes, J. 2005a. Biogeographic and phylogenetic parallels in Dioon and Ceratozamia. Cycad Newsletter 28(2): 8-9. Haynes, J. 2005b. In the company of giants: One botanist’s humbling encounters with ancient dioons. Cycad Newsletter 28(1):6-9. Haynes, J. 2005c. Cycad aulacaspis scale: A global perspective. Cycad Newsletter 28(5):3-6. Haynes, J. 2006a. Phenology of Ceratozamia kuesteriana in South Florida. Cycad Newsletter 29(2/3):13. Haynes, J. 2006b. Cycad Specialist Group announces website. Cycad Newsletter 29(2/3):18. Haynes, J. 2006c. Cycas micronesica now considered endangered. Cycad Newsletter 29(2/3):18. Haynes, J. 2007. A taxonomic and bibliographic history of Microcycas calocoma (Miq.) A.DC. Cycad Newsletter 30(4):18-19. Haynes, J. 2008. Encephalartos horridus in south Florida. Cycad Newsletter 31(1):9. Haynes, J. 2009a. Encephalartos kanga Pocs & Q. Luke – A newly described 'red cone cycad' from Tanzania. Cycad Newsletter 32(1):6-14. Haynes, J. 2009b. Taxonomic history, conservation status & morphologic affinities of Encephalartos kisambo Faden & Beentje. Cycad Newsletter 32(1):15-17. Haynes, J. 2009c. Taxonomic and nomenclatural history of the Zamia skinneri complex. Cycad Newsletter 32(2/3). Haynes, J. 2009d. Taxonomic and nomenclatural history, etymology, vernacular names, distribution, and conservation status of Lepidozamia hopei (W. Hill) Regel. Cycad Newsletter 32(4):10-11. Haynes, J.L. 2009e. Expanded Glossary of Cycad Terms. 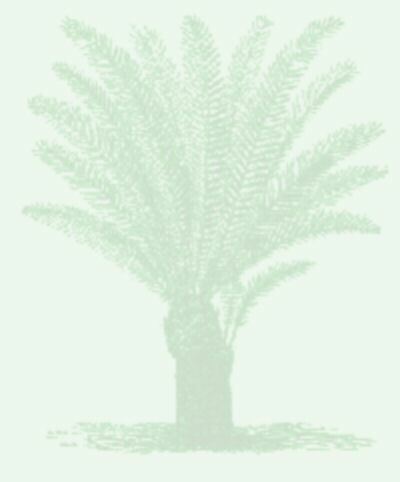 The Cycad Society, Inc.
Haynes, J.L. 2009f. Etymological Compendium of Cycad Names. The Cycad Society, Inc.
Haynes, J.L. 2009g. World List of Cycads: A Historical Review. IUCN/SSC Cycad Specialist Group. 37 pp. Haynes, J. 2010a. “HP” vs. “OP”: Definitions and significance. Cycad Newsletter 33(1):6-7. Haynes, J. 2010b. Taxonomic history, morphologic and phylogenetic affinities, habitat, and conservation status of Encephalartos sclavoi A. Moretti, D.W. Stev. & De Luca. Cycad Newsletter 33(2):10-16. Haynes, J., B. Bohnsack & C. Wiese. 2006. Novel leaf production and development in Macrozamia communis. Cycad Newsletter 29(2/3):7-8. Haynes, J. & M. Bonta. 2003. Montgomery Botanical Center Honduras 2003 Cycad Expedition Final Report. Unpublished report submitted to AFE-COHDEFOR, Tegucigalpa, Honduras, 160 pp. (English & Spanish). Haynes, J. & T. Marler. 2005. Exotic invasive pest insect critically threatening Guam’s vulnerable flora, fauna and island ecosystem. Unpublished. Haynes, J. & J. McLaughlin. 2000. Edible Palms and Their Uses. UF/Miami-Dade Extension Fact Sheet MDCE-00-50-1. Haynes, J. & W. Tang. 2005. Pest Alert: Cycad Aulacaspis Scale. Cycad Newsletter 28(3/4):17. Holzman, G. & J. Haynes. 2004. Cycads of the sand: The beach-dwelling zamias of Bocas del Toro, Panama. Cycad Newsletter 27(4):3-6. Holzman, G. & J. Haynes. 2006. Grant awarded to University of Panama professor. Cycad Newsletter 29(2/3):19. Holzman, G. & J. Haynes. 2010. Variability within cycad species. Cycad Newsletter 33(2):3-5. Hsieh, E. & J. Haynes. 2007. King sago (Cycas revoluta) production in Taiwan, with comments on Cycad Aulacaspis Scale and the endemic C. taitungensis. Cycad Newsletter 30(3):11-13. Tang, W. & J. Haynes. 2005. IUCN/SSC Cycad Specialist Group – Subgroup on Invasive Pests Report & Recommendations on Cycad Aulacaspis Scale, Aulacaspis yasumatsui Takagi (Hemiptera: Diaspididae). IUCN/SSC Cycad Specialist Group, August 2005. 13 pp.